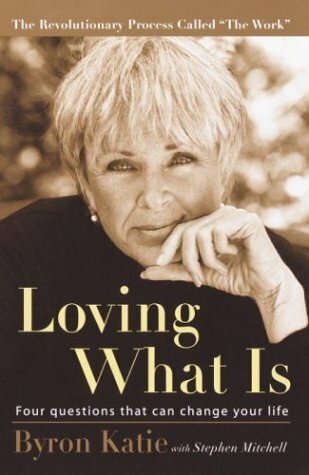 I give this book five stars because I think that it is a profound idea that Byron Katie is introducing- especially for those who are tormented with the weight of worry about those people and circumstances around them that they feel as though they have some power to control. It was a breakthrough for me, to have permission to let go of some worries that I felt duty-bound to carry with me throughout life. Often, these questions pop up in my daily trains of thought, and cause me to re examine what I held as truth. It does have it's limits, in my mind, though Katie would disagree. In some circumstances, it does not work. But in freeing the mind, and giving inner peace, it was a must read for me. I highly recommend it. Sign into Goodreads to see if any of your friends have read Loving What Is. Do you know Brooke Castillo's podcasts? I think you might like them. Start with episode 1!